THE UK GOVERNMENT has moved closer to approving the takeover of BSkyB by Rupert Murdoch’s News Corporation after it accepted a proposal for Sky News to be spun-off as an independent company. BBC News reports that UK Culture Secretary Jeremy Hunt has given the green light to a proposal for News Corp to decrease its involvement in Sky News. The proposed News Corporation takeover of the satellite giant BSkyB, which operates Sky digital, has been the subject of much controversy over whether it would concentrate too many UK media outlets in the hands of one organisation. Following a report by Ofcom, the UK’s communications watchdog, the proposal was due to be referred to the UK competition commission but Culture Secretary has decided to accept the proposal for News Corp to decrease its stake in Sky News. This means the News Corp takeover of the 61 per cent of BSkyB that it does not own is now likely to go ahead. NewsCorp has said it will limit its stake in Sky News to 39.1 per cent and create new publicly listed company called Newco which will be independently funded for 10 years, according to The Guardian. Murdoch’s company retain the option of increase its shareholding in the Newco but only with the agreement of the culture secretary. This decision now goes to a 15-day consultation period in which objections can be raised. Media critics and politicians have already expressed concern about the deal. 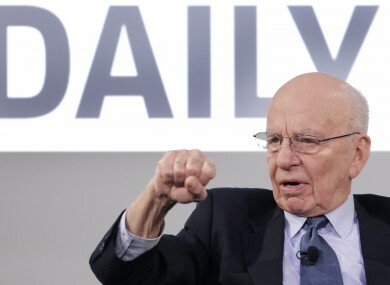 Murdoch has considerable influence in the British media — he owns the top-selling tabloid newspaper, The Sun, as well as The Times, The Sunday Times and the News of the World. The BBC is among a coalition of British media players demanding an inquiry by Britain’s Competition Commission, expressing concerns about its impact. A coalition of media groups, which includes BT, Guardian Media Group, Associated Newspapers, Trinity Mirror, Northcliffe Media and Telegraph Media Group, signaled immediately that it would seek to block the proposal. The group said that the proposal did nothing to address concerns that News Corp would restrict or distort competition. Email “Takeover of BSkyB moves closer after UK government approves Sky News 'spin-off'”. Feedback on “Takeover of BSkyB moves closer after UK government approves Sky News 'spin-off'”.